Kevin Kovach is one of the most energized young builders in our club. Small wonder with two generations of model car enthusiasm ahead of him. You see, Kevin's grandfather Emil and father Kenny are lifelong model car guys and Kevin is following in the family tradition. In the (relatively) few years that Kevin has been in the club, his skills have noticeably grown each month. He often tries new techniques and is always learning from the "old guys." 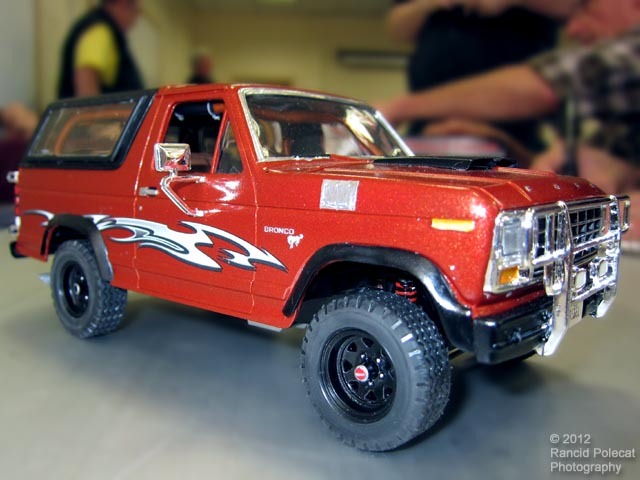 Kevin's Bronco combines his assembly skills and attention to details to add interest to his subject.